“This agreement is less about the climate and more about other countries gaining financial advantages over the US,” the president said. The leaders of France, Germany and Italy released a joint statement less than an hour after Trump’s announcement, dismissing any opportunity for renegotiation and promising to step up their own support for the Paris Agreement. 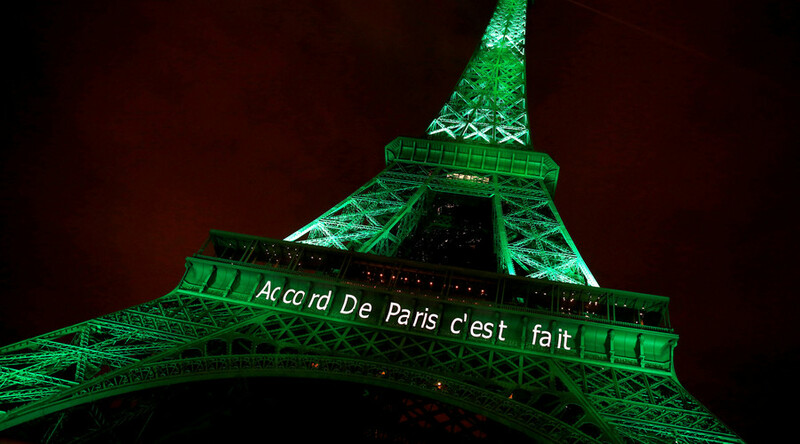 “We deem the momentum generated in Paris in December 2015 irreversible and we firmly believe that the Paris Agreement cannot be renegotiated since it is a vital instrument for our planet, societies and economies," French President Emmanuel Macron, German Chancellor Angela Merkel and Italian Prime Minister Paolo Gentiloni said, according to Reuters. Trump viewed the pact as putting the US' enormous wealth under lock and key, “leaving millions of families trapped in poverty and joblessness,” he said, pointing out that just two weeks of emissions from China alone would totally wipe out the gains from all US carbon reductions through 2030. “The US, under the Trump administration, will continue to be the cleanest and most environmentally friendly country in the world,” but not at the cost of American prosperity, he added. 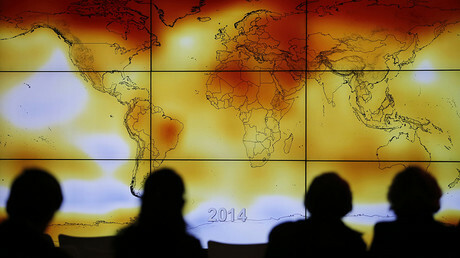 Negotiated in 2015, the Paris agreement seeks to drastically limit carbon dioxide and other emissions from fossil fuel consumption, in order to slow down global warming. The US was committed to reducing emissions by up to 28 percent from 2005 levels by 2025. China is currently the world’s biggest carbon emitter, with the US trailing close behind. The international climate summit that was supposed to take place in Boston next month has been canceled due to lack of federal support, Mayor Martin J. Walsh said Wednesday. In a May 2016 campaign speech on energy policy, Trump said he would “cancel” the Paris treaty. "Any regulation that's outdated, unnecessary, bad for workers or contrary to the national interest will be scrapped and scrapped completely," he said. The administration is now deciding whether to initiate a full, formal withdrawal from the treaty - a process that could take as much as 3 years - or leave the UN climate change treaty altogether. Canada, the European Union, and China have said they will honor their commitments to the pact even if the US withdraws, Reuters reported. "China will stand by its responsibilities on climate change," Premier Li Keqiang told reporters after meeting German Chancellor Angela Merkel in Berlin on Tuesday. Merkel called the Paris agreement "essential." Russia likewise remains committed to the treaty, to which Moscow "attaches great significance," Kremlin spokesman Dmitry Peskov said Thursday. Speculation was rife as to who might have influenced the president's decision, with Reuters describing EPA administrator Scott Pruitt and adviser Steve Bannon as being in favor of pulling out, while Trump's daughter Ivanka, chief economic adviser Gary Cohn and Energy Secretary Rick Perry wanted the US to remain. Over two dozen leading world corporations - including Apple, Facebook, Google and Microsoft - sent a letter to Trump on Wednesday, “strongly urging” him to remain in the Paris pact and saying it was beneficial to both the economy and the environment.